Description of "એકતારો ( Ektaro ) (eBook)"
Ektaro is a gujarti poetry book by Jhaverchand Meghani published in 1940. Jhaverchand Meghani (28 August 1896 – 9 March 1947) was a noted poet, writer, social reformer and freedom fighter from Gujarat. He is a well-known name in the field of Gujarati literature. He was born in Chotila. Mahatma Gandhi spontaneously gave him the title of Raashtreeya Shaayar (National Poet). 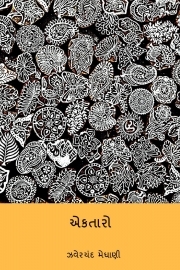 Reviews of "એકતારો ( Ektaro ) (eBook)"